if it's not mixed with a neutral or some color. The warmth of wood can make this color color pallet go from high contrast to an almost grounded space by adding the element of a natural and organic. 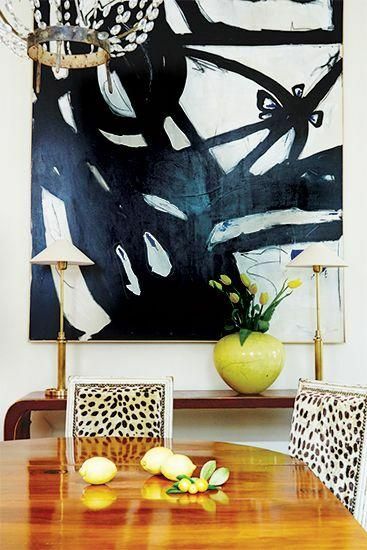 Contemporary art mixed with a vintage chandelier instantly works with warmth of wood. element other than the wood table. For some reason the wood brings it all together. would look like without the warmth of wood? What are you drawn to lately? 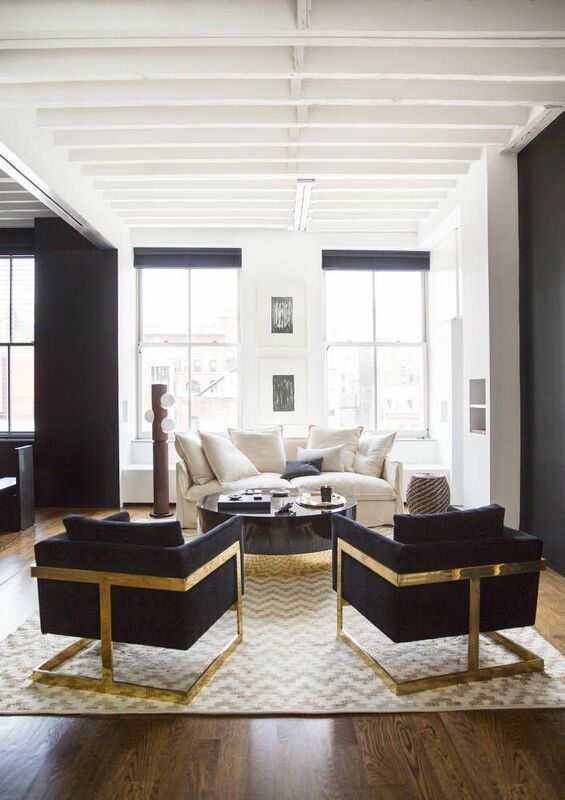 I've always been drawn to this color scheme too and I'm seriously doing it in my master soon! Love the 3rd inspiration photo the most! I agree...that room is crazy good. 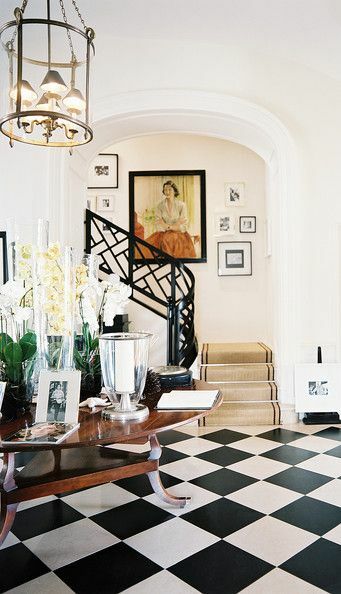 Adore the black and white check floor, it really sets the stage! Good point about the wood. Gorgeous photos. Notice that there is usually some live greenery, too? I didn't notice because I was so caught up in the warmth of the wood. Now that you point it out.....of course. I love that black and white abstract in the first picture... I'm trying to play Picasso and create one similar right now, and this will be very inspirational! That first dining room has long been a favorite!! I love every single thing about it! Thanks so much for stopping by, do you know you're a 'no reply.' :( Happy weekend, Sharon!